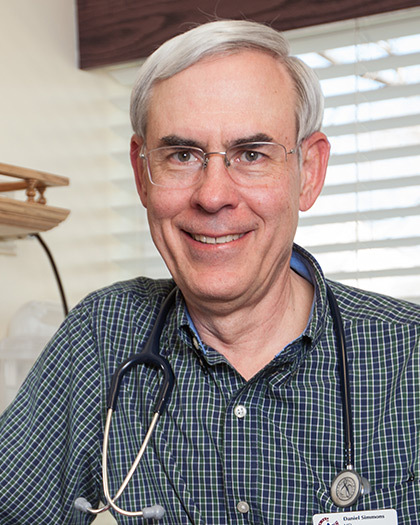 Home » Pediatricians » Daniel Simmons, M.D. "Dr Simmons and his staff are some of the best professionals we have had the opportunity to know! The staff know us by name and always chat with us about the happenings or our life. I love that! Dr Simmons is an amazing doctor! He knows his stuff [and] takes such good care of my boys! We've been seeing him for 20 years and would highly recommend him to anyone!" -Amy O.
Daniel Simmons, M.D. practices in our Cherry Tree Office.